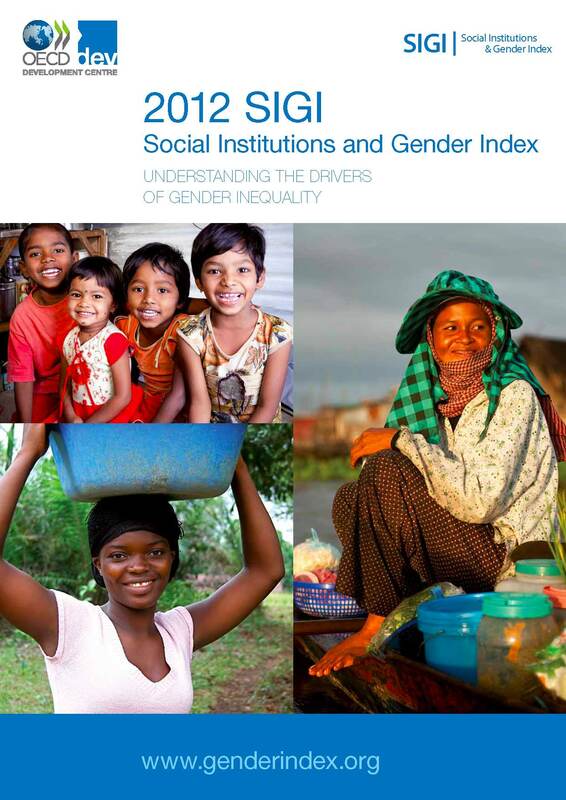 The OECD’s Development Centre has updated their Social Institutions and Gender Index report. The SIGI, launched in 2009, gathers and reports on the underlying social institutions that influence gender roles and relations, complementing other gender equality measures that report on outcomes such as educational attainment or labor force participation. The SIGI finds that countries which display higher levels of discrimination against women are also performing more poorly on a range of development indicators. The average prevalence of early marriage across countries has decreased to 17% in 2012 from 21% in 2009. 86 out of 121 countries scored in the 2012 SIGI have discriminatory inheritance laws or practices. Despite the introduction of laws, attitudes that perpetuate violence against women persist. On average, for the countries scored in the SIGI, around half of women believe domestic violence is justified in certain circumstances. The SIGI website includes country profiles, a key findings summary, and a spreadsheet database containing detailed statistics that may be downloaded for further analysis. Find out more at genderindex.org. This entry was posted in gender equality, International development issues, international gender rankings, women's business research studies and tagged empowering women, gender equality, OECD, SIGI, women's empowerment by womenable. Bookmark the permalink.